These are the factory BMW Motorsport Group N high performance front upper control arm bushings. 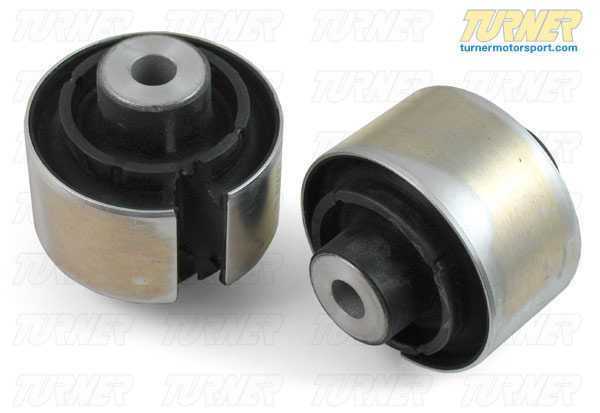 These heavy duty rubber bushings are stiffer than the stock bushings to improve steering feel and improve handling. They are great for track use - and Grand Am Cup legal! - yet can also be used on a street driven car - please note these will not be as compliant as the stock rubber bushings. These are for the control arm with the ball joint pointing down, sometimes referred to as the thrust arm or tension strut. Price is for the pair of bushings.